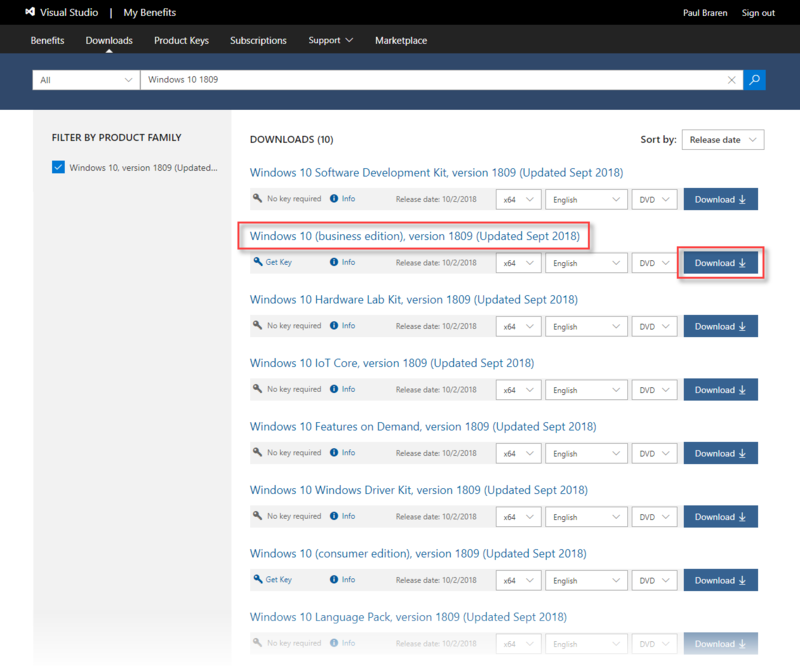 *Oct 06 2018 09:19am ET - You may want to hold off working with the bits that you may have already downloaded earlier this week, as it appears Windows 10 and Windows Server 2019 have been pulled from downloads for now, details appended below. Fall, the time to enjoy apple cider and autumn leaf colors. Also a time to hole up indoors to test out those fresh bits, at the work lab, or in the home lab. Windows Server 2016 came out in GA form on Sep 26 2016. 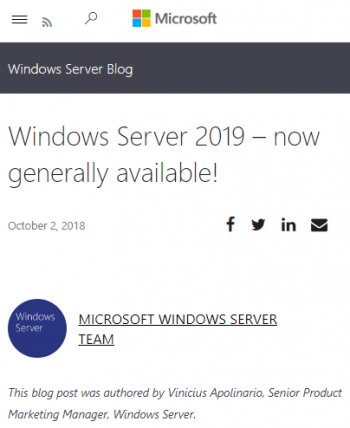 Surprise, Windows Server 2019 was announced on Sep 24 2018, has arrived in GA form on Oct 2, and it's still 2018! Personally, I like to keep on top of the latest developments in Windows Server and Hyper-V, along with a bit of SQL Server. 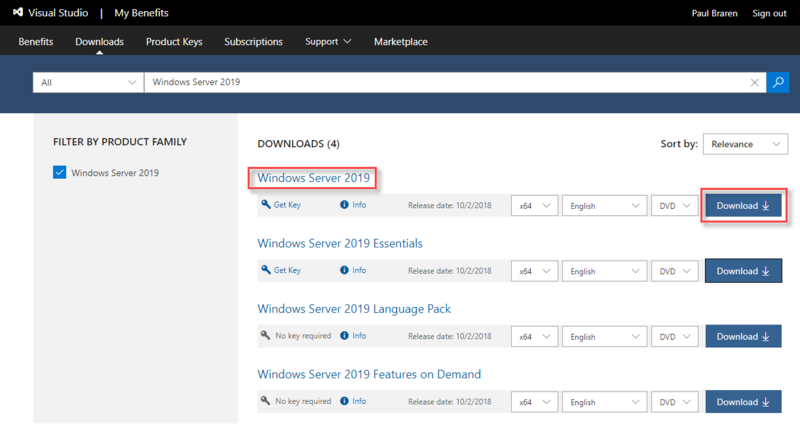 I also like to check out the latest in UI and RDP enhancements, and use the ISO to create my Golden Master Template for my home lab. 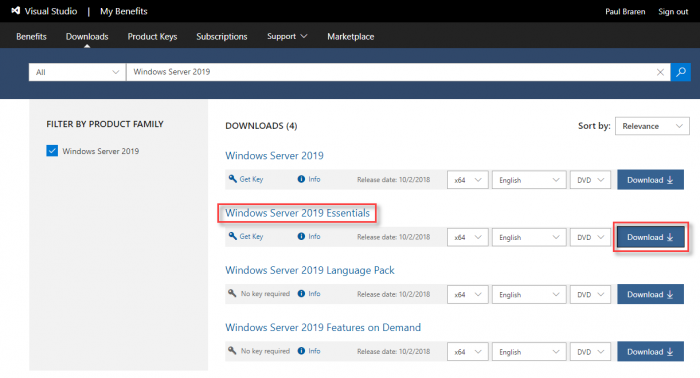 Used for installation onto physical systems via BMC and for mounting to VMs for fresh installs, and to test of various VM backup and agent backup vendors, and maybe even for suitability testing as a network file share and backup server. I was able to get each of my 4GB ISO files downloaded in about 4 minutes per ISO. Not too shabby, at a rate of around 120 Mbps, coming from Verizon Digital Media Services Edgecast CDN. How do I know? See for yourself here, using whois for the discovered IP. No additional details are available for this file. 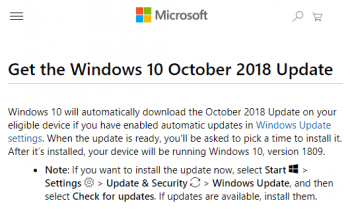 Windows 10 will automatically download the October 2018 Update on your eligible device if you have enabled automatic updates in Windows Update settings. When the update is ready, you'll be asked to pick a time to install it. After it’s installed, your device will be running Windows 10, version 1809. 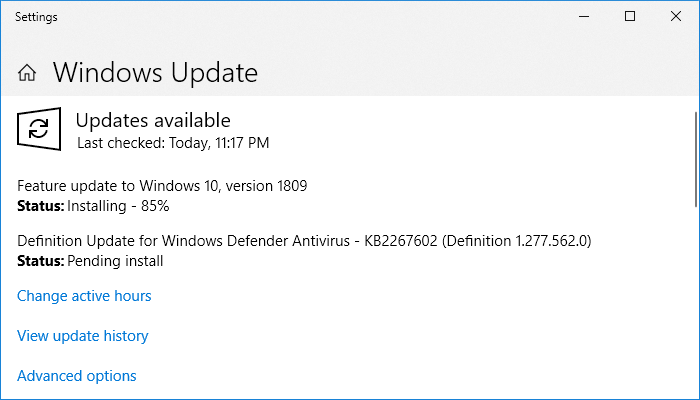 Note: If you want to install the update now, select Start > Settings > Update & Security > Windows Update, and then select Check for updates. If updates are available, install them. This is good, anybody can get the bits, no login required. wait for Progress to reach 100%, the duration of this download will depend upon your internet connection speed,and limitations on how many downloads the server allows, with my 800Mbps connection only seeing 30Mbps for this particular download, using Resource Monitor to determine the IP was 13.107.4.50, and whois used for that IP to determine it's a server owned by Microsoft, seemingly with no CDN, which is odd. VMware vSphere/vSAN 6.7 was announced and available on Apr 1 2018, and vSphere/vSAN 6.7 Update 1 is expected to arrive soon. Oct 18 Update - vSphere 6.7U1 is here! It actually became available to download on Tue Oct 16 2018. Details and demos of my home lab upgrade at TinkerTry here. 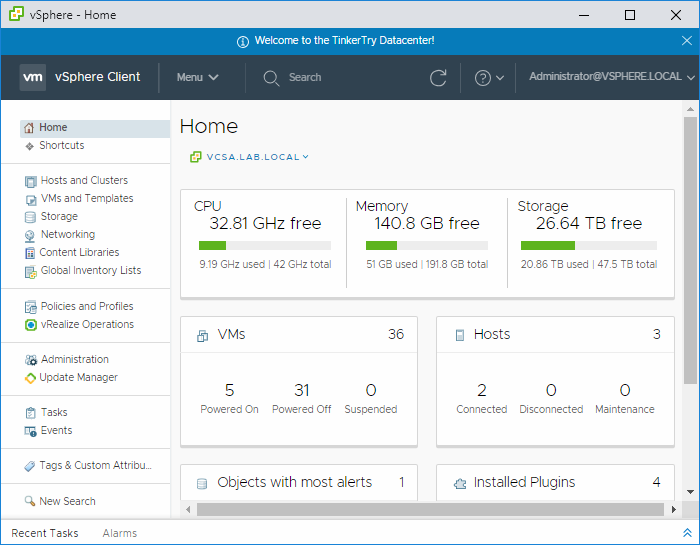 Here's the fast, effective, and lovely vSphere 6.7 browser-based UI that uses HTML5.